Hello everyone, I want to meet my oc Lucky! 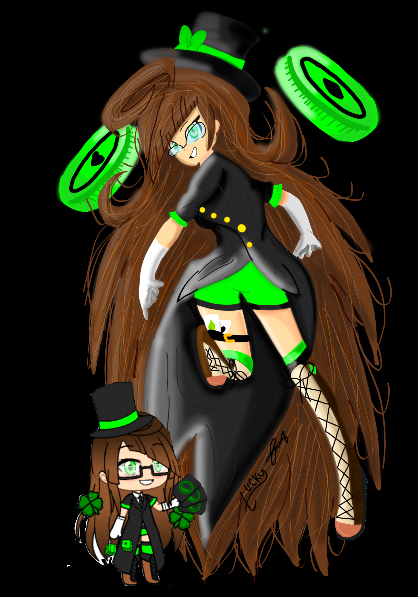 >w< I am so proud of this drawing and I hope you guys love it too~! 91137770, Ellieperculiar, Gacha-Gal-J and 15 others like this. @Fuzzball A lot of people say that and I think its true, they also ship them for some reason, maybe because they look so alike XD, I created her a long time ago, but I never got a change to create her in digital. So I guess you can say that she is mostly like Dice ^^; But its not Dice's Genderbend, Its just Lucky!